The young Saudi refugee who fled her family over alleged abuse and has barricaded herself in a Bangkok airport hotel room faces imprisonment and torture if she is sent back to Saudi Arabia, a human rights activist has warned. Rahaf Mohammed Alqunun, 18, made global headlines when she went public with her pleas for help on social media as she travelled to Australia for asylum. But Rahda Stirling, a Dubai-based human rights lawyer, believes Ms Alqunun’s life could be in danger if she is whisked back to Saudi Arabia and does not make it to Australia. “The fact is, now that she has criticised Saudi Arabia, Islam, her family, and ‘shamed the nation’ – there is every reason at this point to fear that she could be jailed for many years and be subject to human rights violations and torture,” Ms Stirling told nine.com.au in a statement. 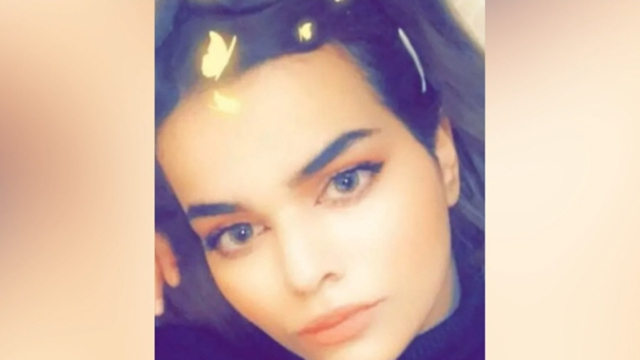 “She has violated Saudi laws in seeking to travel without the permission of her male guardian and has now further violated a number of laws and outraged the regime. Ms Stirling represents Princess Latifa of Dubai, who escaped the UAE but was later forced back via a military operation. She has called for international support to provide refuge for Ms Alqunun. When someone makes very serious allegations of abuse, torture or a threat to their life, authorities have to take it at face value and allow the proper protocols of investigation to occur, Ms Stirling said. Alqunun claimed she was abducted on Sunday and Saudi Arabian diplomatic staff confiscated her passport on arrival at Bangkok’s Suvarnabhumi airport. Saudi Arabian authorities have denied their involvement, saying Thai officials stopped Ms Alqunun because she did not have a return ticket or itinerary to show she was a tourist. “She will be deported to the state of Kuwait where her family live,” the Saudi embassy said in a statement. Alqunun subsequently appealed for help from Australia, Canada, the United States, Britain and other European nations. “Please I need u all. I’m shouting out for help of humanity,” she tweeted. Ms Alqunun said she was being held at an airport hotel by diplomatic and airline staff despite having a visa to travel to Australia. She wrote of being in “real danger” if forced to return to her family under pressure from Saudi authorities and has claimed she could be killed. The teenager vowed to not leave her hotel room until she spoke with the United Nations High Commissioner for Refugees. Late on Monday, she was allowed to enter Thailand temporarily under the protection of the UNHCR, which will take about five to seven days to study her claim for asylum, The Associated Press reported. Photos released on Monday night by immigration police showed Ms Alqunun with Thai and UN officials after she left the airport transit hotel room where she had been holed up over the weekend, sending her pleas for help on her Twitter account. She later tweeted she feels safe under UN protection and has gotten back her passport, which had been taken from her earlier, the AP said. Labor’s foreign affairs spokeswoman Penny Wong said she was concerned by the reports over the situation and had sought further information from the government. “It is a very distressing position she is in,” Senator Wong said. Immigration Minister David Coleman declined to comment. Ms Alqunun said she had been abused by her family and would be killed if she returned home. She posted her passport details on Twitter to confirm her identity. Ms Alqunun told a Thai human rights worker her family kept her in her room for six months because she cut her hair. She had asserted her independence and renounced Islam but had been forced to pray, wear a hijab and was beaten by her brother. Ms Alqunun is understood to have fled from her family two days ago during a trip to Kuwait. BREAKING NEWS: MANNY PACQUIAO ROBBED AT GUNPOINT IN AUSTRALIA!! !